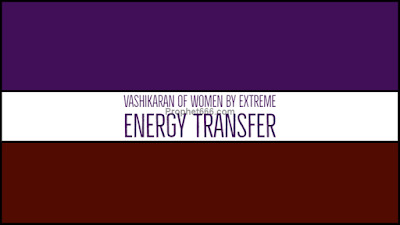 In short, the practitioner has to become fully involved with this Vashikaran Mantra and chant it with extreme intensity as is evident from the wordings of the Vashikaran Mantra. This is possible only if the practitioner truly loves the concerned woman and at the same time is known to her. The Vashikaran Mantra Prayog can also be used to bring back an ex-lover into your life or to attract a wife who does not love or care for you. Some of the words present in the Vashikaran Mantra are - Alingaya = cuddle, hug or embrace and Chumbaya = Kiss. These words suggest that the practitioner should as explained above become fully involved and become Ek or One with the Mantra, while he is chanting it. The simple procedure of practicing this Vashikaran Mantra Pragog in order to transfer your thoughts into the mind of the desired woman lover has been given below. 1] The Mantra Prayog has to be practiced for a period of 21 days and it should be started on any Saturday night, immediately before going to sleep at night. 2] The practitioner should sit down on his bed and chant the Vashikaran Mantra given below 108 times, replacing the word – Amuka-अमुका with the name of the desired woman, while he is chanting the Mantra. 3] Then, he should take a little quantity of drinking water in a small glass and hold the glass in his right hand and then, once again chant the same Vashikaran Mantra 21 times for infusing the water in the glass with the force and potency of the Mantra and then he should drink that water and go to sleep. 4] The same Vashikaran Vidhi has to be practiced for all the 21 days of this Vashikaran Prayog, which can also be termed as a combination of a most powerful and extreme Pani Se Vashikaran or Vashikaran By Water and Dur Se Vashikaran or Vashikaran From Far Away Mantra Experiment. Notes- This is the only Vidhi or procedure for practicing this Vashikaran Mantra Prayoga and the practitioner can face any direction or use any counting rosary, while chanting the Mantra. The Mantra should not be used just for fun or simply to see what happens because as mentioned above the practitioner has to become Ekroop with the Vahsikaran Mantra. can this be practised by a woman to attract her husband? Yes, it can be used for attracting the husband or wife as mentionedd in the post.